Ok, a couple more years have gone by, but there has definitely been progress in this little project. First, the tail section is done …*really* done. 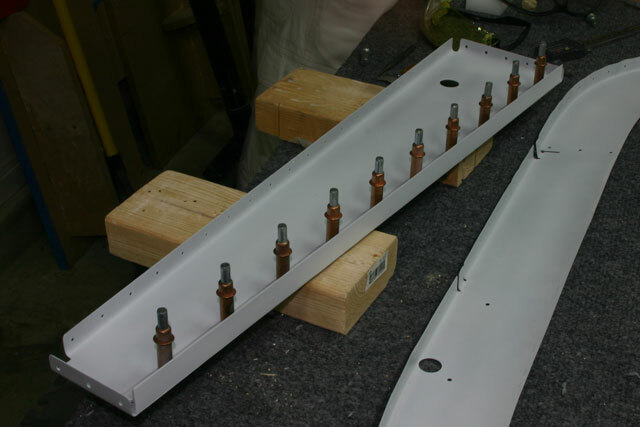 All surfaces are mounted, bolts torqued, etc. 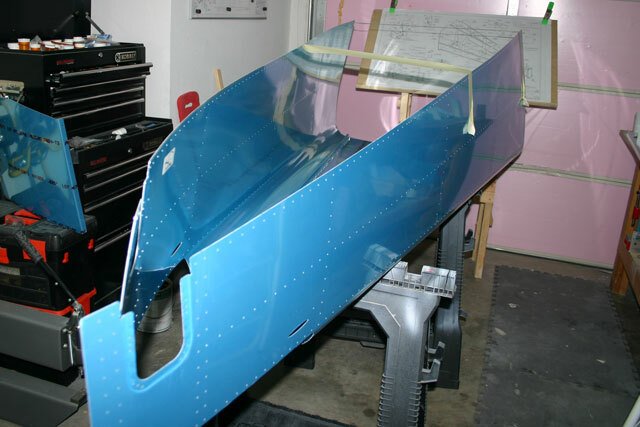 The fiberglass empennage fairing is finished (other than paint), the rudder cables and wiring for the tail light and trim servo are routed to the front of the fuselage,etc. 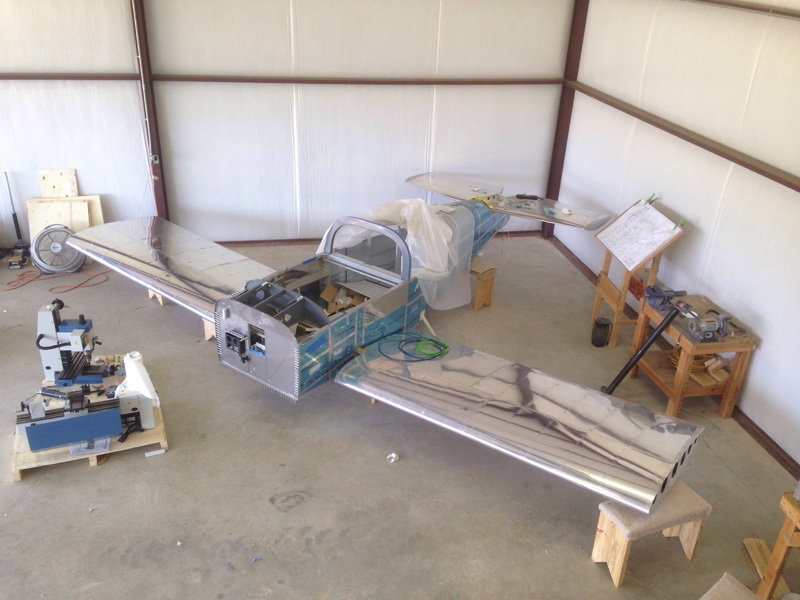 The wings are mounted temporarily, but all critical holes have been drilled, flaps have been fitted, and ailerons have been test-fitted, too. Finally, the engine mount has been mounted and match-drilled to the firewall and the control cable pass-through fittings have been installed. The blog may have been dead for a while, but this project is most certainly NOT dead! Back in 2010, I changed jobs and over the last few years have been cooking up some other stuff, which has taken some time away from the airplane building activities. When faced with limited time, I opted for continuing to work on the airplane and not spending time updating this website. 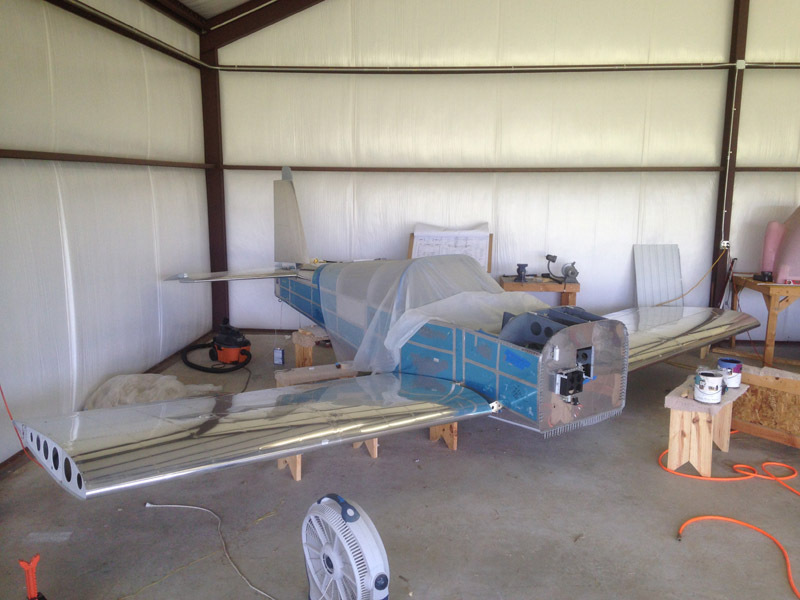 * The fuselage is mainly completed (and so are the wings and tail surfaces). * The rear window is completed. * The canopy is *almost* completed. 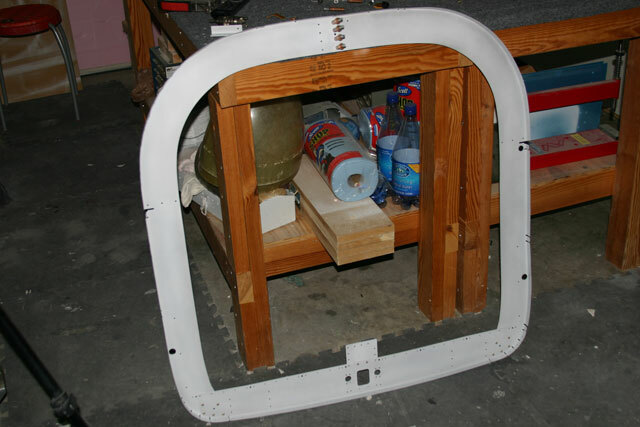 I need to rivet on some side skirts, then prime, paint and screw on the plexiglass canopy. This canopy stuff has taken me most of the summer, but we’re still chugging a long. Maybe by this time next year we’ll be looking for an engine! Canopy goes up and down now! 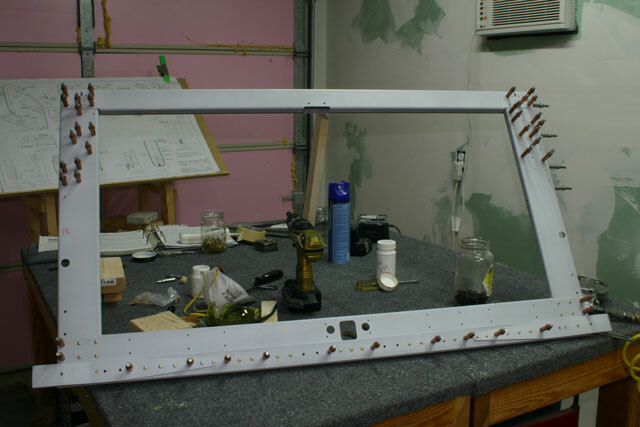 The rear window – all done! The J-stringers run the full length of the tailcone. There are two on each side and two on the top. 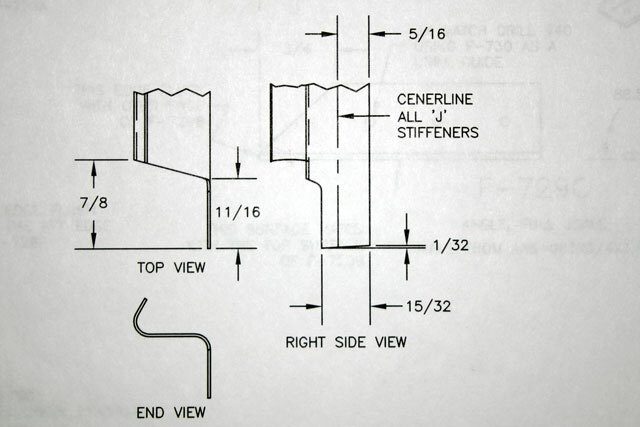 in order to fit between the skin and the bulkheads, the ends need to be modified as shown in the drawings. I decided to leave the ‘tab’ a little wider than indicated, because it looked like the dimensions on the drawing would end up causing the rivet holes to be too close to the edge for my taste. 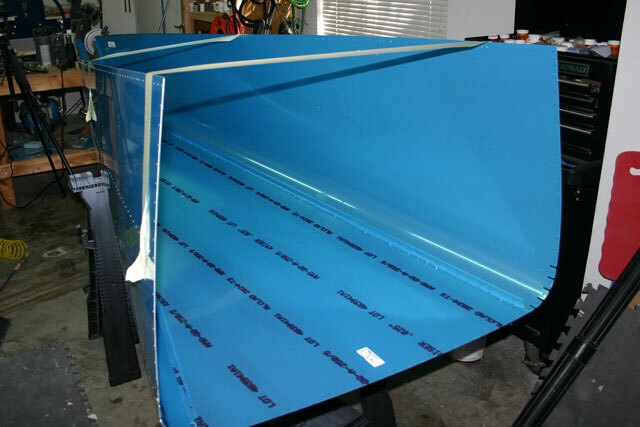 The tail cone skins with no bulkheads are large, flimsy and unwieldy. I used some masking tape to more or less hold them in place before adding the bulkheads. Once the first few bulkheads are installed, it starts taking shape nicely. The pieces sitting on top of the tailcone are the stringers that will be added on the sides later. Riveting the firewall is pretty easy, with a couple of exeptions. 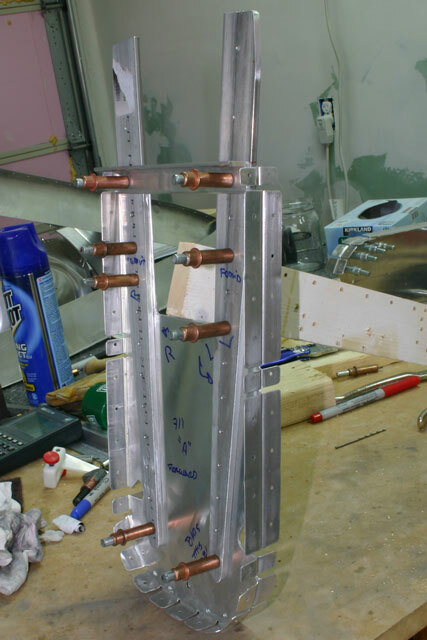 Here is the firewall ready to get riveted. 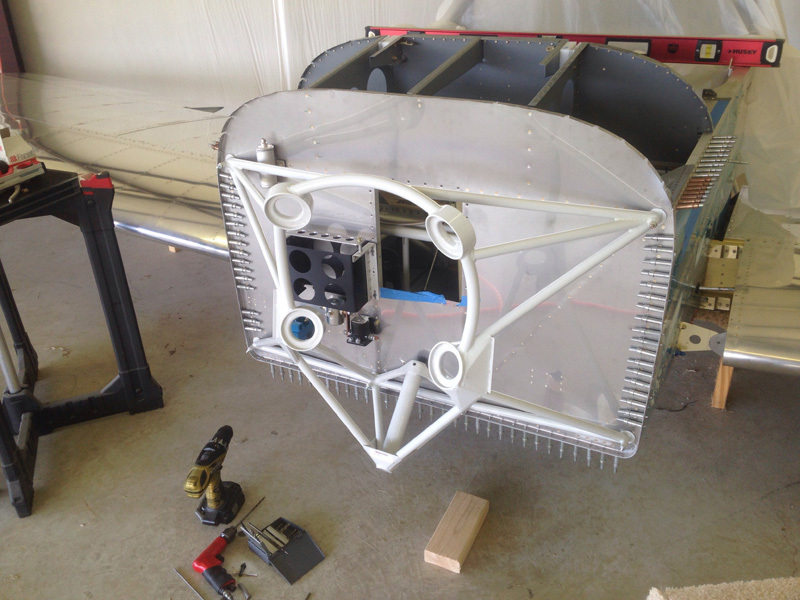 Note that the firewall recess can be installed later to make accessing the cabin easier during assembly. 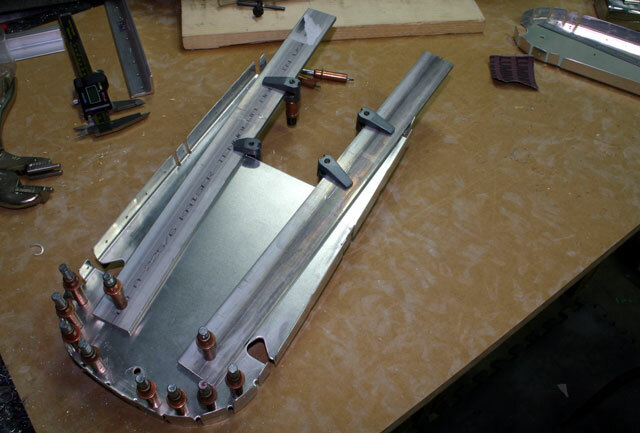 Also, I have not decided if I am using a fuel injected or carburated engine, so I have not drilled the fuel pump doubler plate yet (I understand this is not needed with a fuel injected engine). Most of the rivets can be back-riveted. The flanges on the firewall point ‘down’, so I had to use a few pieces of plywood/MDF to make sure the flanges cleared the table. 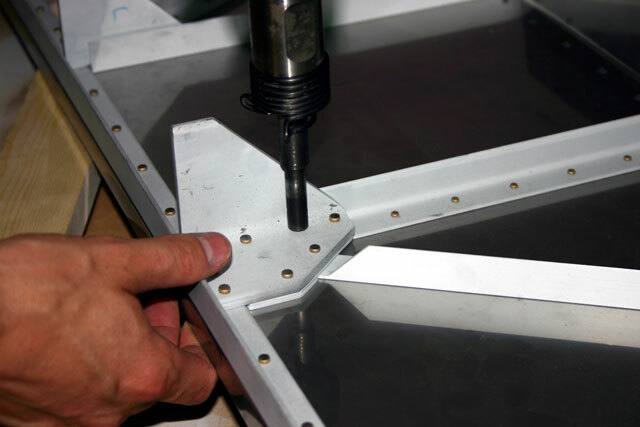 The rivets on these lower angles are too close to the angle to use a ‘normal’ back-riveting tool. 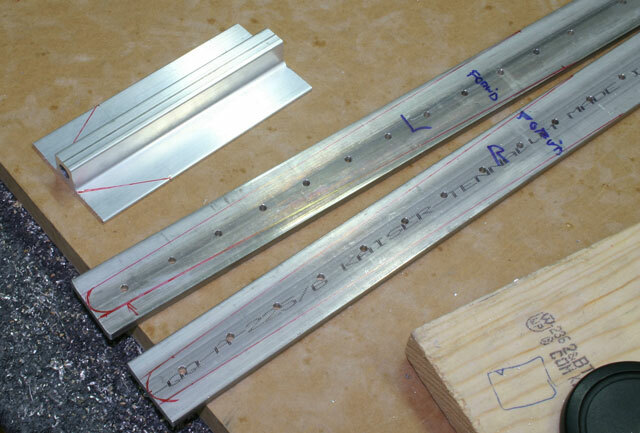 I tried a couple of approaches, including a pneumatic squeezer and the arbor from my c-frame dimpler. It turns out the easiest way to rivet these is to take out the plastic piece off the back riveting set, and just hit the rivet directly. You have to go a few hits at a time to make sure the narrow set does not bounce off the rivet and ding the angle, but it is definitely doable. Here is the end result. Note I scratched the paint on the angle, but there are no deep scratches. If I were to do this again, I would just make sure to use some masking tape on the angle to keep the set from rubbing against the aluminum when setting the rivets. 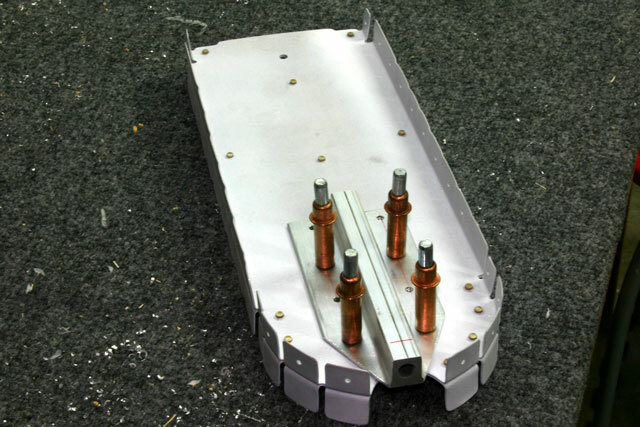 This rib mounts horizontally on the F-706 bulkhead. 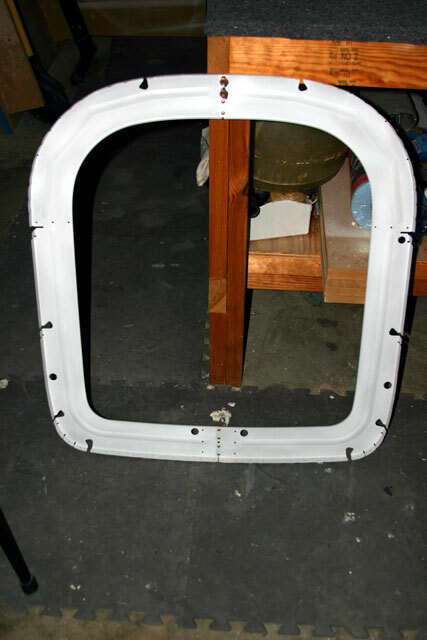 It helps strengthen the bulkhead and it also one of the attach points for the elevator bellcrank. 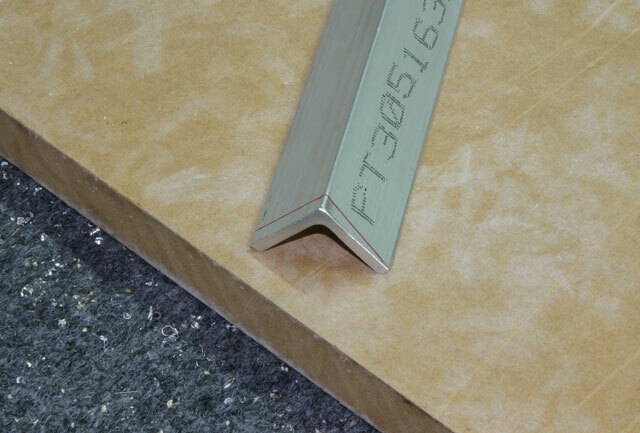 Not much to it other than the rib itself and the reinforcement angle. Riveting the rest of the bulkheads in the tailcone is also pretty straightforward. 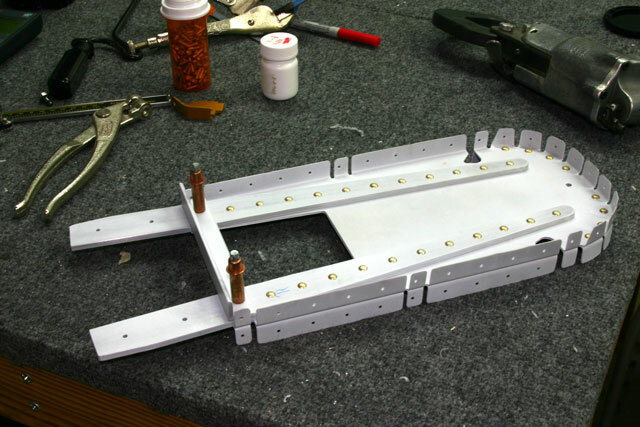 This is the F-706 with just a few rivets to hold the three pieces together. And the F-707 with all of the rivets on the bottom and only two on the top (the other two are used for a piece of angle that holds a rib between F-707 and F-706. 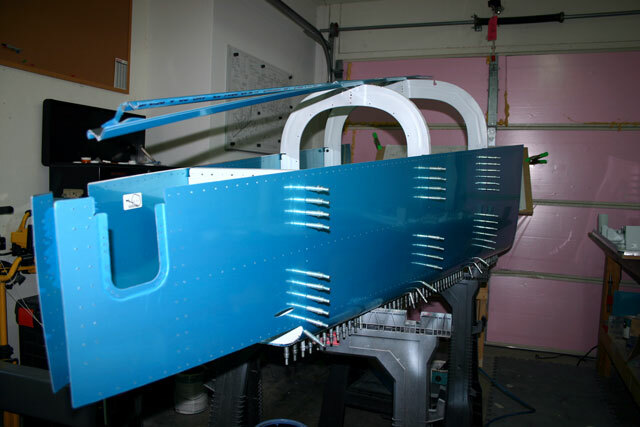 F-711 gets the doubler bars that eventually are used to attach the empennage. Note that the horizontal angle is not riveted on yet — just clecoed in place for now. Finally, F-712. 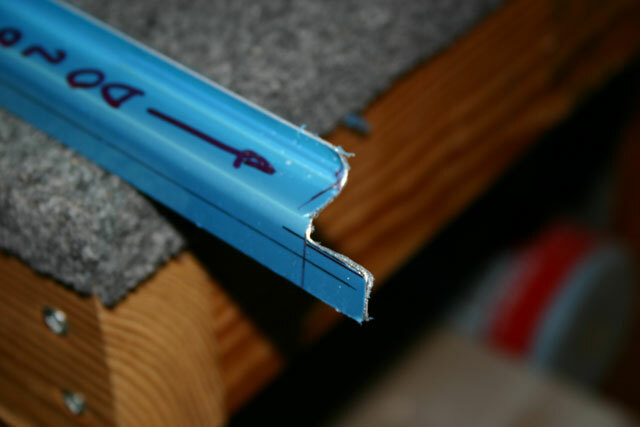 Note that the tail tiedown extrusion is also not riveted just yet. 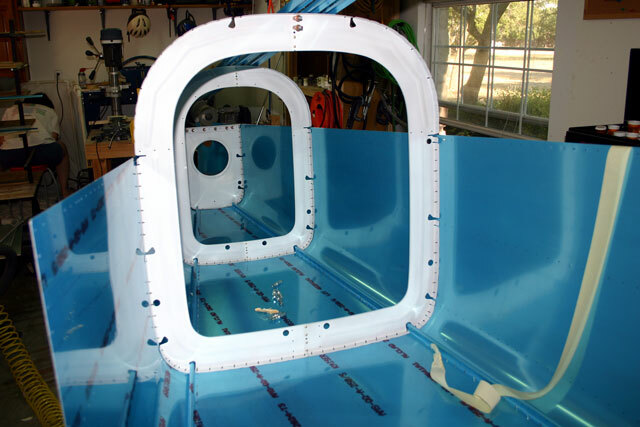 The F-705 bulkhead is the dividing bulkhead between the seating area and the baggage compartment. 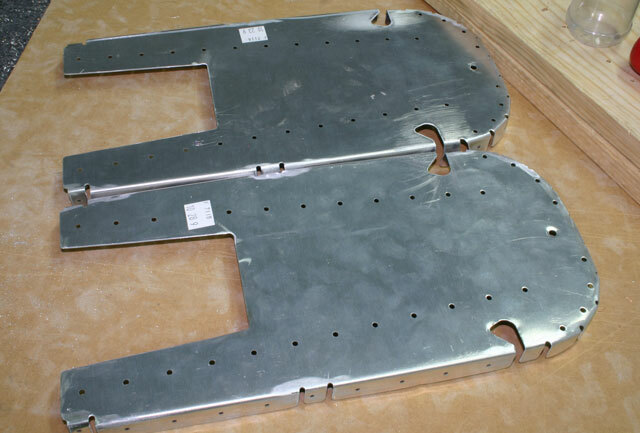 This bulkhead also includes the ‘fork’ where the rear spar of the wings attach to the fuselage. Only a few rivets need to be set at this time. 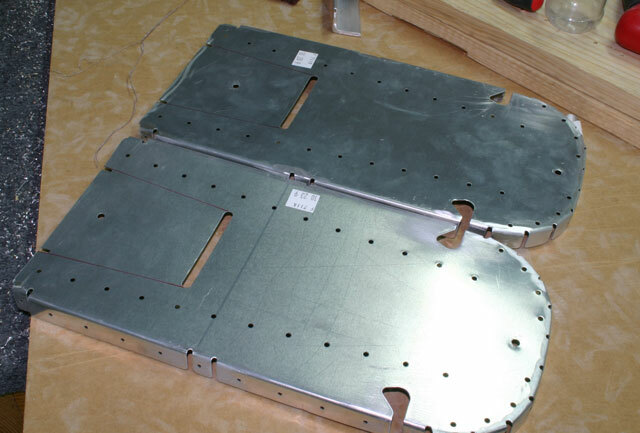 These are mostly to hold together the lower horizontal section of the bulkhead to the two vertical sections, and the rivets that attach the doubler bar to the bulkhead. Even then, there are quite a few rivets in the doubler bar that are set later. Every place with a cleco in the picture below gets riveted later. 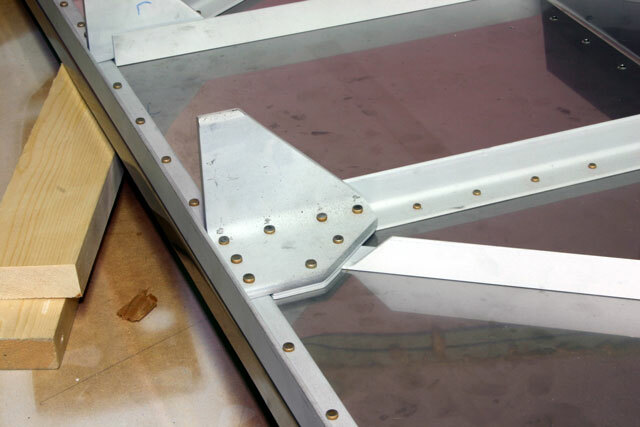 The F-705 bulkhead also holds the flap mechanism, and there are two ‘bearing blocks’ that need to be bolted to the bulkhead. 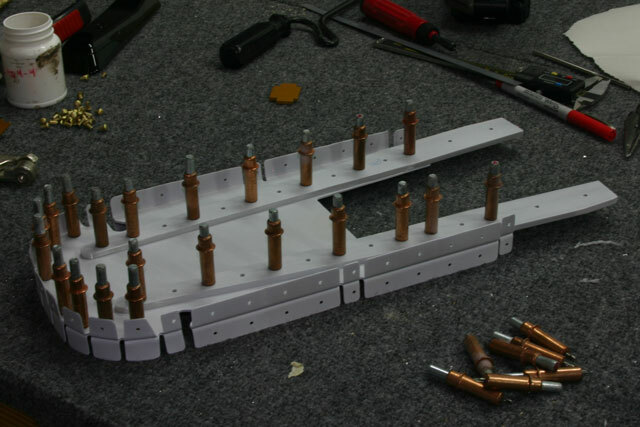 These plastic pieces need to be drilled for bolts first. 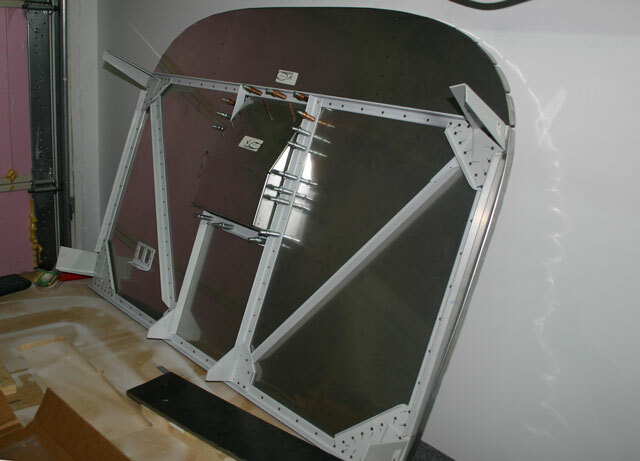 The F-711 Bulkhead is a double bulkhead, since it is one of the attach points of the horizontal stabilizer. 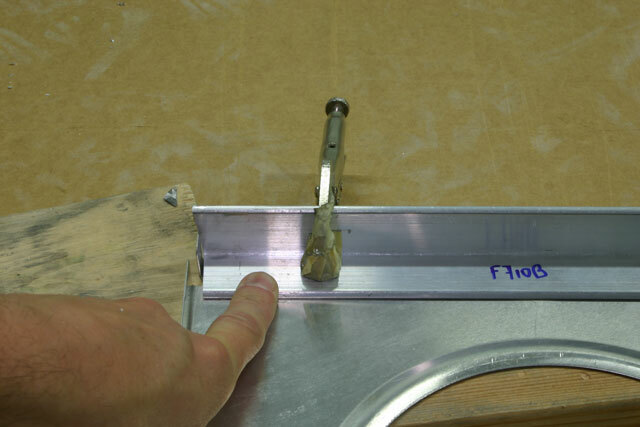 The first step is to cut out a notch as shown below. I used a dremel tool for the rough cut, and then a file and abrasive wheel to smooth it out to final size. The bottom of the bars are slimmed down (weight savings?). 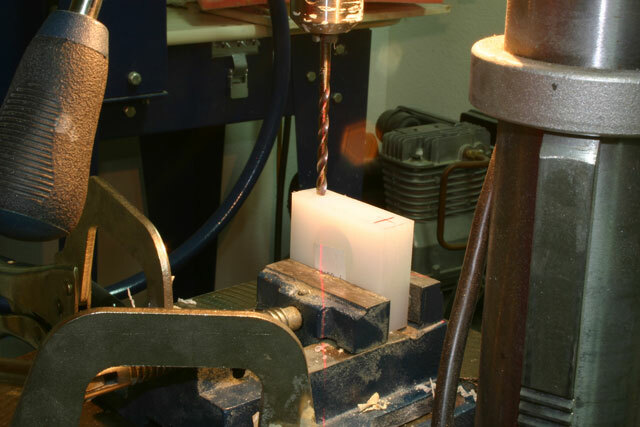 While at it, I also marked the extrusion used for the tail tie-down. Finally, here is the completed F-711. Note the additional angle between the two bars. 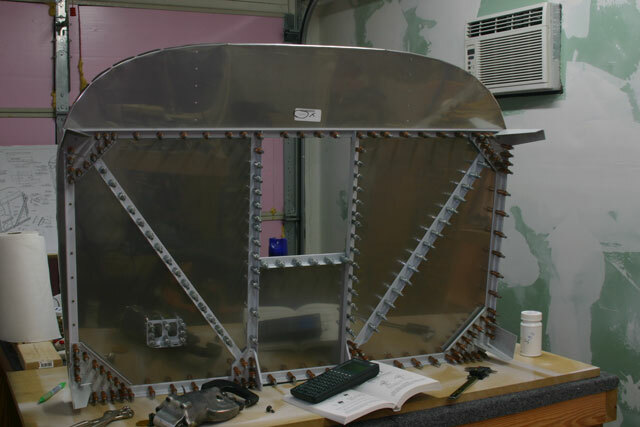 Also, note that this bulkhead is near the aft end of the fuselage, and the angles of the flanges start to get sharp enough that you must bend them with the seaming pliers before you even attempt to fit it into between the side skins of the tailcone. 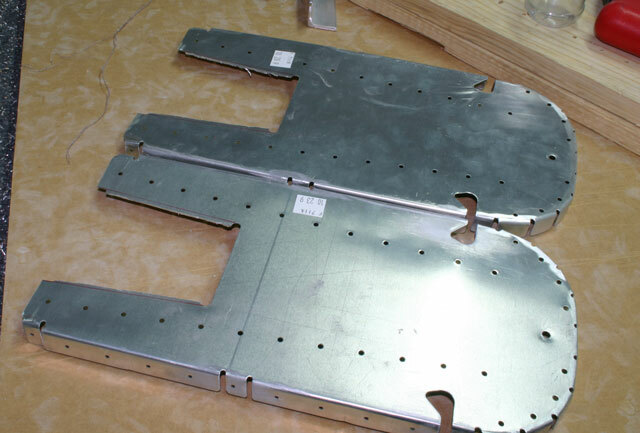 The F-710 Bulkhead has a reinforcing angle across the top. In order to clear the longerons, the angle is notched at the ends. 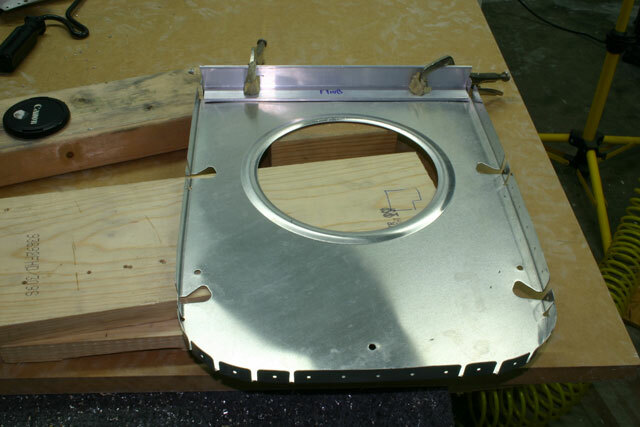 And here is the entire bulkhead with angle clamped in place, ready for drilling.